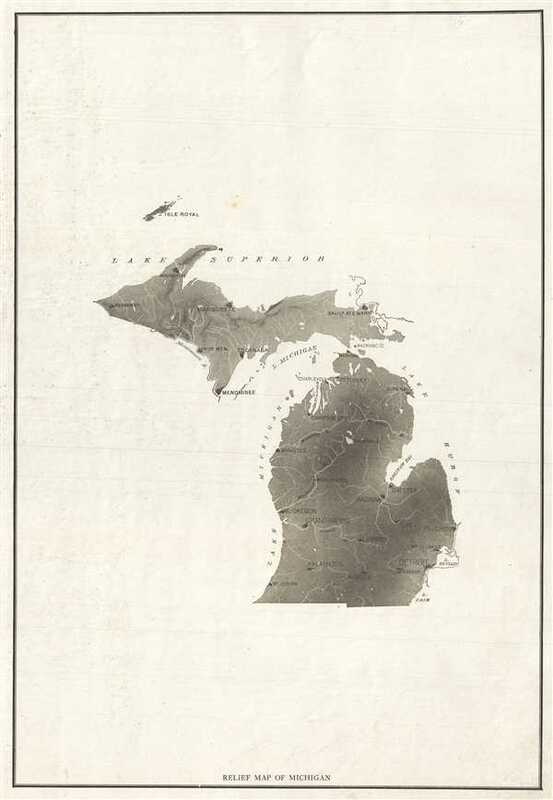 This is an appealing c.1890 map of Michigan. Covers the entire state. Presented in black and white, the map notes important towns and rivers. Issued primarily as a relief map, Lakes Michigan and Superior are labeled but boundaries are not shown. Isle Royal is included. This map was issued in c.1890 as part of a series of relief maps. Very good. Minor spotting and edge wear.